History - Edelholz Großhandel Hamburg Max Cropp e.K. The agent Max Cropp founded the company. The office moved to Georgsplatz 10 in Hamburg City Centre. 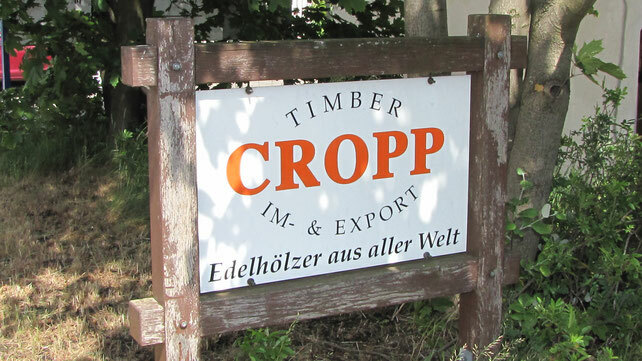 At the beginning of 1941 the company was converted to an open trading company with the partners Franz Carl Ohde, Günther Stuhlmann and Hans Jürgen Cropp. The founder Max Cropp died. Reinhard Stuhlmann joined the open trading company, later Mr. Ohde and Mr. Cropp junior left the company. That day Günther Stuhlmann died and Reinhard Stuhlmann became the sole owner of the company. Reinhard rearranged the company from being an agent to an im- and exporting business and specialised more into hardwoods, exotic timbers and (special) species. 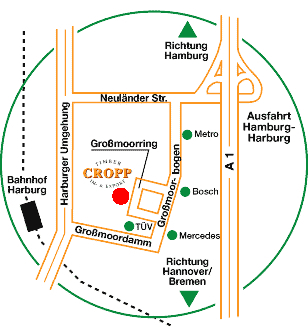 After Reinhard had a new head office built in Grossmoorring 10 in Harburg with a big warehouse, the company moved there which is still its current location. Eckart Stuhlmann joined the company and it was converted again into an open trading company. At the end of the year 2009 Reinhard Stuhlmann died and Eckart Stuhlmann became the owner of the company. Since the early 1980's in the south of Hamburg, the Harburg industrial estate, right next to the A1 motorway. Copyright 2018 Max Cropp e.K.